How does the scene below make you feel? Down the stairs Crystal went, anticipating what she would find there. It was Christmas morning and at last she could find out what was in the beautifully wrapped packages under the tree. The biggest one, a bicycle, was her brother’s, but she didn’t mind. She was sure that some of her gifts would be nice too. Crystal’s mother was already separating the gifts into separate piles when Crystal walked into the living room. Her dad and brother were already there. They had several packages piled in front of them. Crystal went and sat next to the pile of gifts that she knew was her own. It was smaller than her brother’s was but she was anxious to see what her parents had gotten her. They took turns unwrapping their gifts. Crystal’s brother stopped paying attention to the others and had his gaze fixed on his new bicycle when Crystal opened her last gift. It was the gift that Crystal had been hoping for, a carousel that she had seen at the mall. She had told her mother that she wanted it, but when she had gone back to the store to point it out to her mother, it had been gone. Yet here it was. It did not take Crystal long to get her prized gift out of the box and to wind up the clockwork mechanism that made it turn and play music. The sound got her brother’s attention and he turned away from his bicycle, his radio controlled car and the other gifts he had gotten and turned his attention to Crystal’s gift. “Let me see!” he said and picked up the carousel from the table where she had set it. “Put it down! You’re going to break it,” Crystal said. Before Crystal could respond, Crystal’s brother lost his grip on the carousel and it hit the floor with a crash. It lay there in several broken pieces. “Look what he did,” Crystal said, very near tears, but she held them back. “Things break sometimes,” her mother said. When Crystal went back down a few minutes later, the carousel was in the kitchen trashcan. She went over and started to take it out. With some glue, she thought she might be able to fix it. “Crystal, leave that alone,” her mother said. Crystal went back into the living room where her brother was reading a book that he had gotten for Christmas. His radio controlled car was on the floor, abandoned. Crystal picked up the controller and started playing with it. “Mom, Crystal’s playing with my car,” her brother yelled in the direction of the kitchen and then went back to reading. Crystal didn’t stop playing. Crystal’s mother left the kitchen and went into the living room. Does the scene above make you angry? I don’t mean hopping mad angry, but doesn’t it make you feel a little angry with Crystal’s family? Perhaps we might feel differently if we were able to see more about what is going on with the family, but what we see in this short scene makes us a little angry and we could certainly see Crystal becoming angry over the situation and even lashing out by doing something like stomping on her brother’s car, but she doesn’t. She appears to be a very obedient child. Anger is an emotion that is a close cousin to frustration, but while frustration is directed inwardly, anger is directed toward others. In attempting to write so that the audience becomes angry, our goal is to show them that one or more characters have violated another character’s rights, but more than that, we must show that the offended character is powerless to defend against this attack on his or her rights. We must remove the opportunity for retaliation. We must never imply that the character deserves to be ill treated. We must show that the intended object of the audience’s anger is aware of what is right, is capable of doing what is right, but chooses to violate the rights of another. One of the “rules” of writing is that every scene needs a beginning, middle and end. Look carefully at the scene above and you will see that while it has a beginning that quickly introduces the scene and it has a middle where all of the action takes place, there is an ending, in that it closes debate, but it fails to bring the scene to a nice resolution. If this were a movement in a symphony, this would be like ending on a dissonant chord. The ending leaves the reader wanting something more. As readers, we want something to change. We would like to see Crystal retaliate or begin making plans to do something about the situation, but that doesn’t happen. Barring that, we might like to see some indication Crystal has learned from what happened and she will be better prepared to protect herself next time. We see none of this. The lack of resolution further implies that Crystal is powerless to enact change on her own and those who do will not. In most cases, it is not a good idea to end the story with the audience angry. There are some notable exceptions. George Lucas ended what many consider to be his best work, The Empire Strikes Back, with the audience angry with the villains. In that situation, it served as a cliffhanger to draw the audience back to watch Return of the Jedi. In my opinion, there are two good reasons to leave the audience feeling angry. One is to create a cliffhanger, as George Lucas did and the other is to call the audience to arms. Nothing stirs people to action quite like unresolved anger. People are unable to lash out at fictional characters, but they feel the need to channel their anger toward something. Instead of lashing out at the fictional character, people may find people who act like the fictional character and lash out at them instead. This technique worked with the novel Uncle Tom’s Cabin. Anyone who read the book realized that Tom did not deserve the treatment that he got. By all standards, he was a good slave, but what he got was a bad situation. The readers were unable to lash out at the fictional character that killed him, so they directed their anger toward ending slavery in America. For a reader to become angry at a character, there must be a clear distinction between right and wrong. I cheated here by using a situation that might remind you of your childhood. We all had times when the adults just didn’t understand and we became upset because they did not do what they should. One thing we don’t want is for the reader to have to decide which side is the correct side to take. 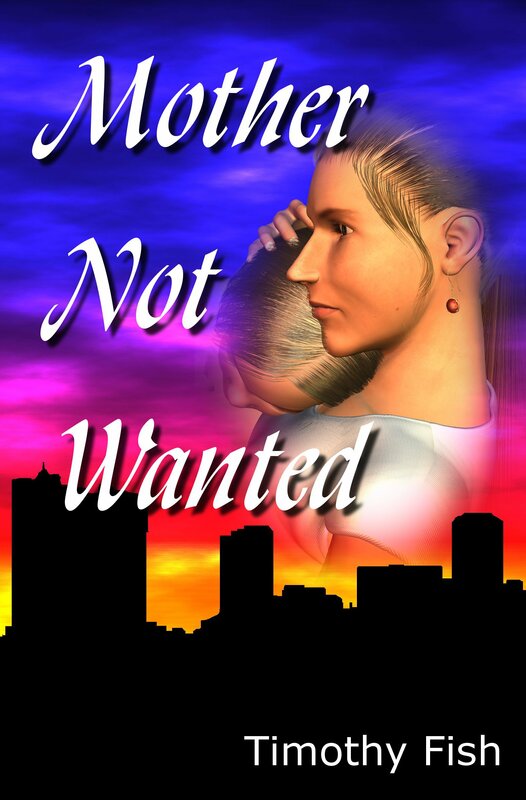 If the reader had a reason to side with Crystal’s mother and brother then the scene might fail to accomplish its goal. To make an audience angry, we take a character they can cheer for and knock him down. After that, we kick him in the stomach. Finally, we show that the villain has the power to prevent anything the character might try to retaliate. If we can do all of that then the audience will become angry with the villain.